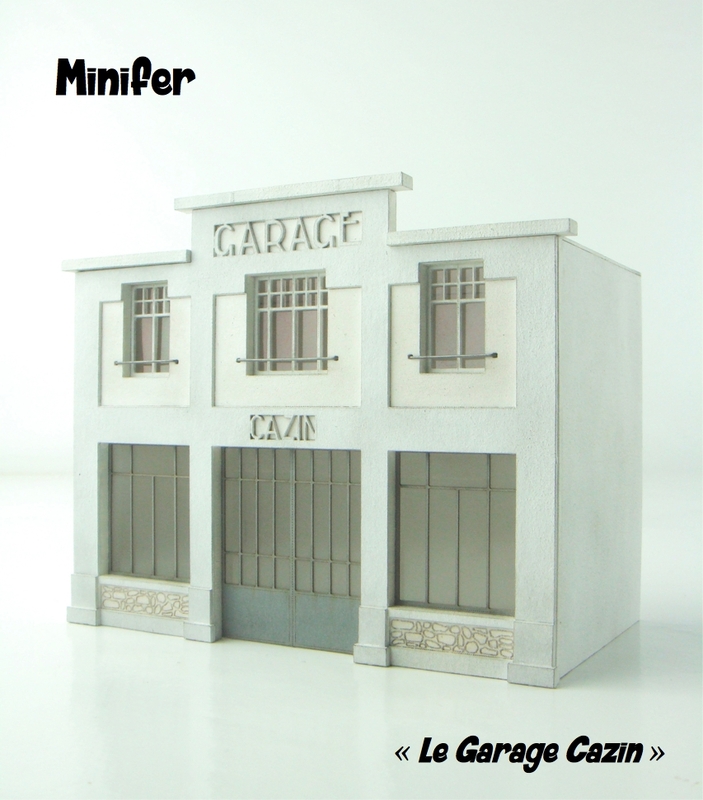 Designed with the help of a photo, this is a typical french garage from the 1950s. A user-friendly kit, even for beginners ! Dimensions : L= 4,33", w= 2,44", h= 3,34"